Alpha Kappa Mu Honor Society is a general scholarship honor society open to junior and senior men and women in all academic areas. It was founded at Tennessee A & I College (now known as Tennessee State University) in Nashville, Tennessee on November 26, 1937.  Alpha Kappa Mu was admitted to membership in the Association of College Honor Societies in 1952, and was incorporated on September 7, 1977, under the laws of the State of South Carolina. The Third Annual Convention held at Arkansas A. M. & N State College, Pine Bluff, in December 1939, was an historic one. Here, with several additional colleges represented, the principles around which the Constitution would be built were laid down; the name of the "Federation" was changed to Alpha Kappa Mu Honor Society and a feeling of esprit de corps and solidarity crystallized that was to assure its continued existence as a national organization. By the end of the third year, the purpose of Alpha Kappa Mu as a National Honor Society had been definitely established and the organizational machinery for achieving these purposes had become a functional reality. Since its inception in 1937, Alpha Kappa Mu has grown in size, in scope, and in its influence upon the academic excellence of American college and university students. Alpha Kappa Mu will seek and welcome the superior college student with a serious purpose in general fields on all campuses regardless of color, religion, or national origin. Chapters of Alpha Kappa Mu are located on the campuses of four year degree-granting colleges and universities which are fully accredited by an appropriate national or regional accrediting agency. An era came to an end in the spring of 1974 at the 36th Annual Meeting of the Society at Kentucky State University in Frankfort, Dr. Gore stepped down as Executive Secretary-Treasurer after twenty-five years in this office. The Convention voted him Emeritus status and made him a Life Member of the Executive Council in appreciation for his many significant contributions to the Society. Dr. Gore died at his home in Nashville on September 10, 1982. This was a tremendous loss to Alpha Kappa Mu Honor Society and to the thousands of persons who will always remember this friend and scholar for the significant recognition he made possible of their academic talents.